MEN WITH HATS The fuse is lit for the Dead Winter Carpenters at Long Meadow Ranch show in St. Helena. If nothing else, the Fourth of July is one of the loudest holidays of the year, with booming fireworks commemorating America's birthday everywhere you look. In the North Bay, many of these fireworks are accompanied by live music, and this year's selection of Fourth of July concerts includes popular local bands, lively community celebrations, long-standing family traditions and more. In Sebastopol, the skies light up a day early at the 45th annual Fireworks Extravaganza & Music Festival, hosted by the Kiwanis Club on July 3. Music lovers can come together on the football field at Analy High School to hear the dance-inducing music of Buzzy Martin & the Buzztones and the bluesy licks of Volker Strifler beginning at 6pm. The next day, Sebastopol embraces the idea of "United We Stand" at the seventh annual Peacetown Summer Concert series kick-off at Ives Park. Jim Corbett, best known locally as the founder of music education and events organization Mr. Music Foundation, runs Peacetown with a strong commitment to neighborly camaraderie, and this season's opening concert—dubbed an "(Inter)dependence Day" event—honors that notion and includes music from cordial Sonoma County artists Jon Gonzales, the Big Fit (formerly known as Frobeck), Bottle Shock and the Poyntlyss Sistars beginning at noon and playing until 8pm. Another neighborhood staple in Sonoma County, Santa Rosa's long-running "Red, White & Boom" fireworks show at the Sonoma County Fairgrounds features North Bay favorites the Pat Jordan Band, the Dylan Black Project and Wonderbread 5 taking the stage alongside dozens of local vendors to set the mood for fireworks. 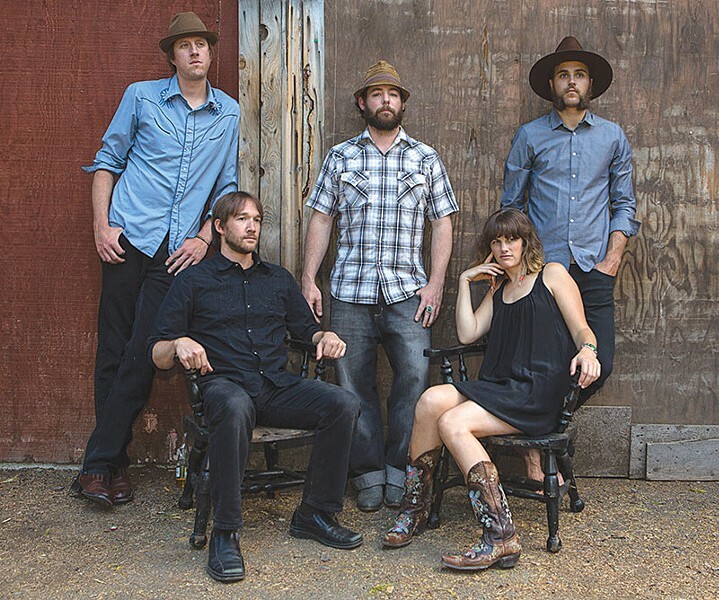 The Sonoma-Marin Fairgrounds in Petaluma also hosts a free Fourth of July fireworks show with local rockers the Grain and the Highway Poets belting out soulful, swaggering sets of music with Lagunitas beer and local food on hand. Napa Valley's offerings of Independence Day parties start early, with the Symphony & Salsa Celebration on July 1 at the CIA at Copia in Napa. The free outdoor show boasts Symphony Napa Valley performing patriotic selections like "Stars & Stripes," while Bay Area veteran Latin band Candela play their signature high-energy originals that get the crowds moving, followed by a pyrotechnic display. In St. Helena, the Fourth features genre-bending Americana act Dead Winter Carpenters (pictured) sweating it out at the Farmstead at Long Meadow Ranch as part of the seasonal Bluegrass-Fed Concert series. Fans can sit on the lawn and enjoy a delectable dinner with the music, before fireworks go off at nearby Crane Park.